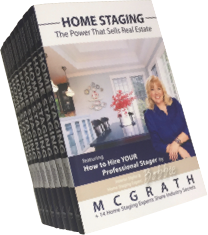 Successful Staging > Get My Chapter From “Home Staging: The Power That Sells Real Estate…FREE! Get My Chapter From “Home Staging: The Power That Sells Real Estate…FREE! I’ve been published! I joined 14 other leading home stagers from throughout the USA and Canada to bring you an insider’s look at the world of home staging. And the exciting part was learning it became an Amazon BEST SELLER on Cyber Monday. I’d like to offer you a free copy of my chapter, “How to Hire YOUR Professional Stager”, from “HOME STAGING: The Power That Sells Real Estate”. Just sign up below and you’ll receive an email to download your chapter today!